By the early twenty-first century, a phenomenon that once was inconceivable had become nearly commonplace in American society: the public spiritual teacher who neither belongs to, nor is authorized by a major religious tradition. From the Oprah Winfrey-endorsed Eckhart Tolle to figures like Gangaji and Adhyashanti, there are now countless spiritual teachers who claim and teach variants of instant or immediate enlightenment. American Gurus tells the story of how this phenomenon emerged. Through an examination of the broader literary and religious context of the subject, Arthur Versluis shows that a characteristic feature of the Western esoteric tradition is the claim that every person can achieve "spontaneous, direct, unmediated spiritual insight." This claim was articulated with special clarity by the New England Transcendentalists Bronson Alcott and Ralph Waldo Emerson. 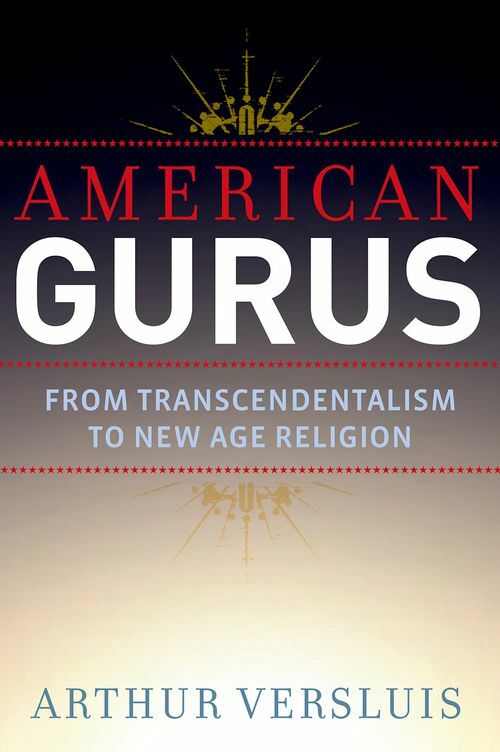 Versluis explores Transcendentalism, Walt Whitman, the Beat movement, Timothy Leary, and the New Age movement to shed light on the emergence of the contemporary American guru. This insightful study is the first to show how Asian religions and Western mysticism converged to produce the phenomenon of "spontaneously enlightened" American gurus. 11. "Oh, ho, ho, it's magic"
Arthur Versluis, Chair of the Department of Religious Studies and Professor in the College of Arts & Letters at Michigan State University, holds a doctorate from the University of Michigan, Ann Arbor, and has published numerous books and articles. Versluis was awarded a Fulbright scholarship to Germany, and is the founding editor of Esoterica, and co-editor of JSR: Journal for the Study of Radicalism. He is the founding president of the Association for the Study of Esotericism.